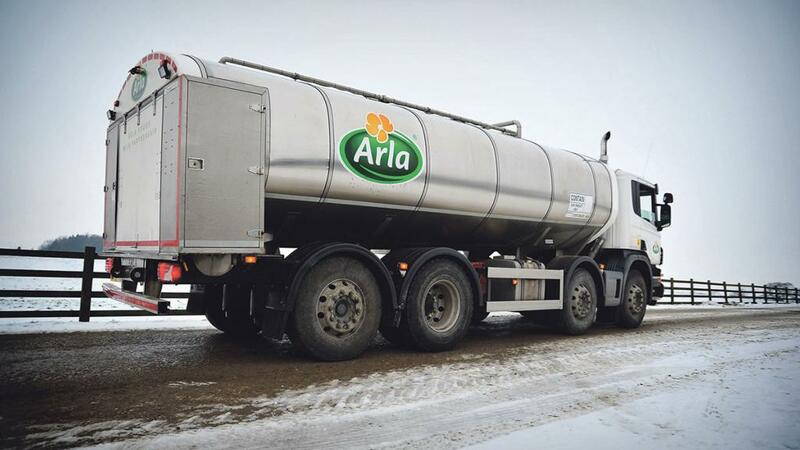 Arla has announced its price for conventional milk will fall by 1.73ppl taking its manufacturing litre to 29.27ppl from February 1. Its liquid price for February will be 28.16ppl. Arla Foods amba board director, Johnnie Russell, said: “The recent dramatic falls in European commodity markets have continued into the new year. “This has been particularly felt in fat-based products where we have seen falls in commodity market butter prices of circa 40 per cent and cheese prices of circa 30 per cent, over the last three months from the historical highs in 2017. “Protein based products have not been immune either, though falls are less due to the significantly lower values of these products.